Dear readers, in the next few weeks, Cute and Delicious will be filled with cookies. You don’t mind, right? I was searching for inspiration for some holiday cookies and kept coming back to a bunch of Martha Stewart recipes. I felt it was most necessary that these be veganized, so I’ll be doing just that, and sharing my experience and recipes with all of you. 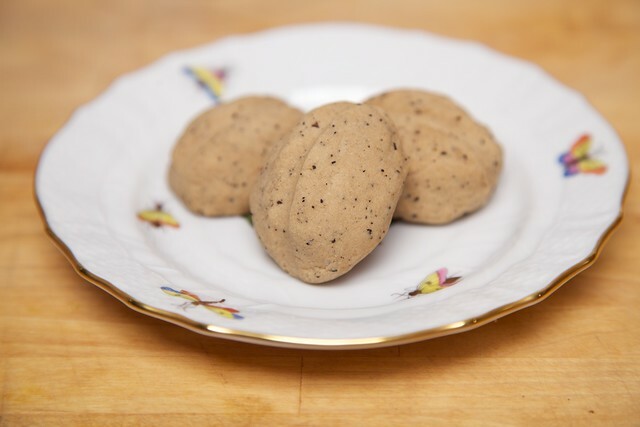 I started with a very simple and appealing recipe for Espresso-Bean Shortbreads. This appeared to be not only one of the most enticing flavors, but also the easiest to make a vegan version. The only non-vegan ingredient is butter, which I personally don’t even think about for a second, as Earth Balance is such a superb replacement. It’s really a no-brainer. With cookies, it starts getting tricky with replacing eggs. Now there are a few things you need to know about Martha Stewart cookies. They use a lot of butter. This recipe uses 1 1/2 cups. Mostly they average about one cup. Consider yourself warned. Like I said, Earth Balance works great as a substitute. They involve a bit of advanced preparation. There is nearly always a fair amount of chilling time, so make sure you read through each recipe in advance. Don’t think you’ll just be popping these out of the oven in 1/2 an hour. The little espresso guys are easy to make and easier to eat. They’re dense, slightly crunchy and not too sweet. Moreover, they definitely pack a caffeine kick. Not cookies you want to eat right before bed time, trust me. I didn’t have a single complaint with the recipe, except that it took quite awhile with multiple chilling and freezing periods. I would recommend making them sort of flat, and not to make sure they are cooked all the way through. So here are the humble but delicious beginnings of my cookie marathon. I personally think cookies make a great gift, and the ones here are sure to impress, but also travel well. Even though I’ve just begun, I can already see how easy it will be to get lost in a black hole of holiday cookies…but off we go anyway. 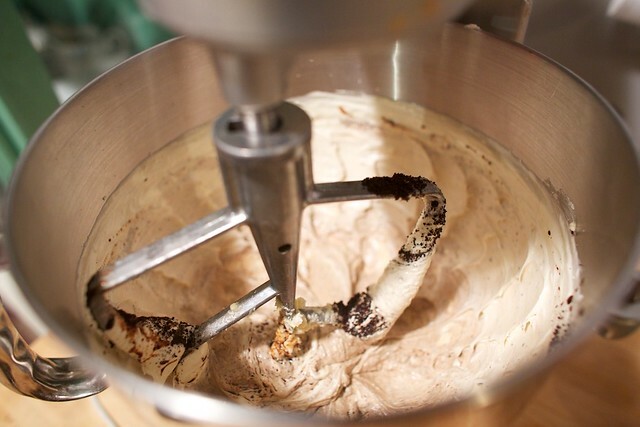 Cream together Earth Balance and sugar in a stand mixer. Using the paddle attachment, beat until slightly fluffy. 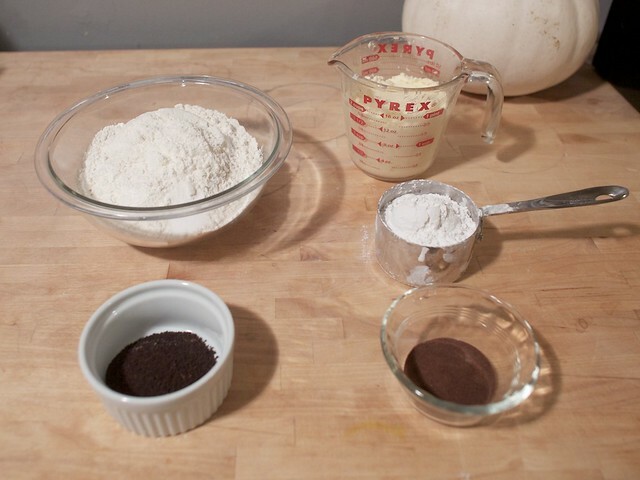 Combine the espresso powder and warm water in a small bowl and stir until combined. Beat the espresso mixture and beans into the EB and sugar. Whisk together flour and salt and gradually add to butter mixture, beating until combined. Wrap the dough in plastic and refrigerate for at least 2 hours or overnight. Bake for 16 to 18 minutes rotating sheets half way through. The bottoms should be browned, with the tops, just barely browning when you remove them. Let cool completely on a wire rack before eating. Oh my god these cookies are so amazing. I’ve already eaten 10 of them 🙂 Perfect with a double shot of espresso for breakfast. Oh, yummy. Shortbreads are my favorite cookie. I think this will make a perfect xmas gift for a vegan friend; can’t wait to try it out! These look so tasty! Wish I had some right now… they seem like the perfect late afternoon snack. I LOVE Martha Stewart cookies! 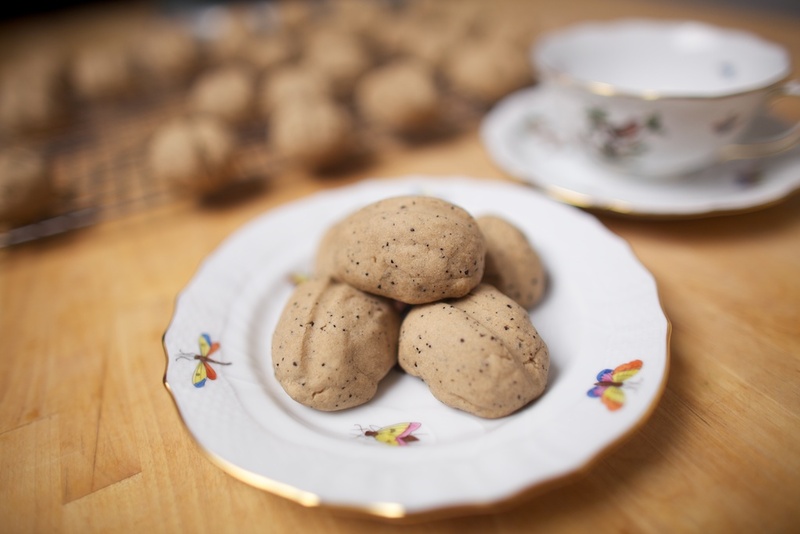 I just recently went vegetarian (not quite vegan) but would really like to “veganize” some of my holiday cookies… I’m so glad I stumbled upon your blog! Btw, the Chocolate Gingerbread cookies in her “Cookies” book are my absolute favorite… EVER. I think that will also be an easy substitution, given that the only non-vegan ingredient is the butter. Just throwing that out there for you!